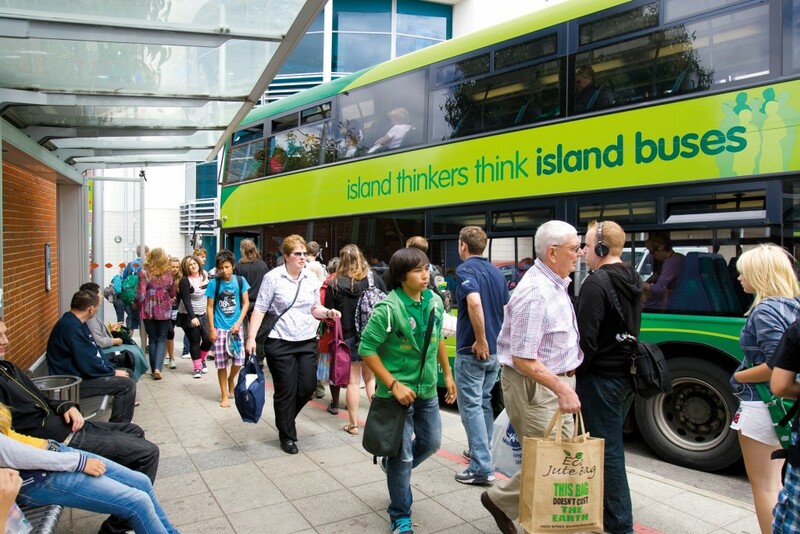 In a new report, the Institute for Transport Studies is to set out ways to mobilise workforce and boost spend by investing in the bus network. The bus is too often the unsung mode of transport when it comes to the contribution it can make towards financial recovery. As we struggle to come out of the economic doldrums, buses have a vital role to play in getting people to work and delivering shoppers to the high street. This September a new report, ‘Buses and Economic Growth’, will be published ahead of the party conference season. Commissioned by Greener Journeys, an organisation dedicated to encouraging people to switch from the car to the bus, and conducted by the Institute for Transport Studies at the University of Leeds, the report will aim to show policymakers the benefits of adopting a positive approach to the bus as a key form of transport. Together with The Telegraph, Greener Journeys recently co-hosted a discussion examining some of the issues the report will investigate. Moderated by The Telegraph’s Robert Miller, the speakers were Tim O’Toole, chief executive of transport operator FirstGroup, Dr Adam Marshall, director of policy and external affairs at the British Chambers of Commerce, and Gillian Merron, chair of Bus Users UK. Buses account for two-thirds of all trips via public transport and the bus industry is a major employer, providing 123,000 jobs in the UK and contributing ?2.1bn a year to the economy – half a billion of which is in tax and national insurance contributions alone. With more than 40pc of workless households having no access to a car, good public transport links are vital if people are to get back into employment. And with the demise of the British high street seldom far from the headlines, buses can play a key role in reinvigorating our town centres. Some 40pc of trips to the high street are made by bus and those passengers tend to be good spenders, not constrained by the ticking clock on their parking ticket. Where concerted effort has been made to develop bus travel as a viable alternative to the car, it is invariably a great success. BRT (bus rapid transit) is the name used for public transport systems that use buses in a faster, more efficient way than standard bus services. The TransMilenio in Bogot is arguably the most advanced example of BRT in the world. The Colombian capital’s seven million-strong population is served by this revolutionary system, which opened in December 2000, prior to which the city’s bus service consisted largely of thousands of uncoordinated minibuses. The state-of-the-art vehicles run on dedicated bus lanes and operate from stops which offer real-time information to keep passengers informed. Today, the system moves around 47,000 passengers an hour. The TransMilenio has inspired dozens of similar systems and there are a number of examples of BRT in the UK. Probably the most impressive of these is the Cambridgeshire Guided Busway, which opened in August last year. Making use of a derelict railway from Cambridge to St Ives, the vehicles feature leather seats, free internet access and are low-emission and bio-fuelled. Two years ago, when energy giant Npower relocated to new state-of-the-art but difficult-to-reach Sunderland offices, one of the major issues to be addressed was how staff would get to work. After detailed discussions with bus operator Go North East, the two companies entered into a partnership to provide four new routes that serve the new site. The buses were initially funded entirely by Npower, but one of the routes has since opened up commercially. Staff pay their own fares, but those who relocated have received a subsidy in their salaries to compensate for the extra cost. Offering frequent and direct buses to surrounding residential areas, there are now more than 4,000 journeys a week on the network, and one in five people who work at the new offices uses the service. Indeed, the scheme has been so successful that Go North East has invested ?1.26m in a fleet of new buses that offer free Wi-Fi for passengers and automated announcements. Of course, people are set in their ways, and raising awareness of what a modern bus service can offer is key to its success. To help overcome the reluctance of people to step out of their cars and on to the bus, Stagecoach contacts non-users by phone and offers them a week’s free travel. The House of Commons Transport Select Committee recently found that the bus sector is now facing the greatest financial challenge. Greener Journeys is concerned at the further impact of the reduction in local authorities’ revenue expenditure; cuts to expenditure on concessionary fares and the 20pc reduction in Bus Services Operators Grant for. Ultimately, it will be the policymakers who determine whether buses are able to fulfil their potential, and it is hoped that the report will bring these issues to the notice of the people who can make a difference.